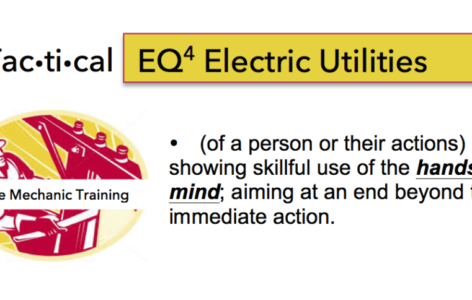 Free EQ Coaching Session with purchase! 5 Critical thinking skills. There is new science supporting the paradigm shift – a new way to develop a human being for optimal performance. 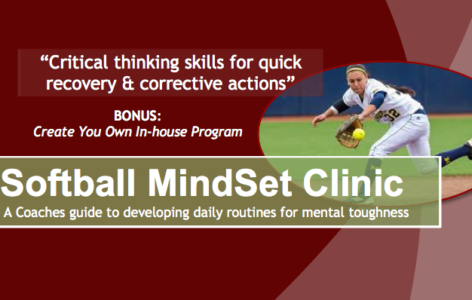 A mindset based on critical thinking skills that enable an athlete to consistently deliver under pressure. Use this book as a personal workout guide for daily routines and guiding principals. A Coach or Athlete’s handbook for regulating the chatter in your head – before, during and after the performance. For bulk or team orders please call for special pricing – 866.487.2815. 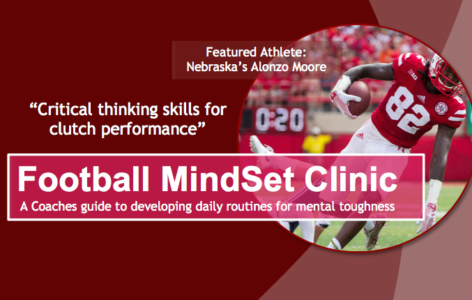 Receive a complimentary 20 minute coaching session with one of our EQ Coaches! 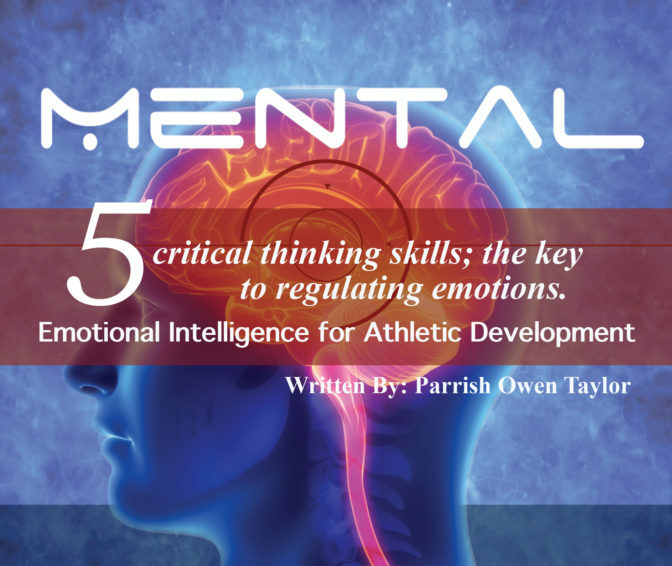 A great opportunity to ask the hard questions about athletic performance and anxiety – and more importantly, ask specific questions how to use the Mental5 ebook to begin implementing new activities this week during practice with guaranteed results! 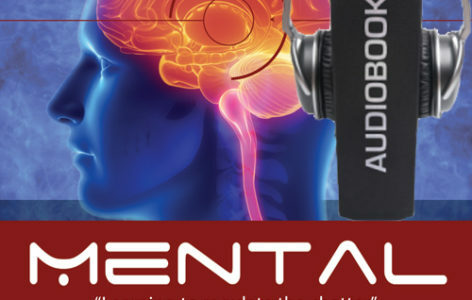 Your EQ Coach will contact you immediately following your Mental5 ebook download. Features: Latest findings on the brain, remarks from subject matter experts, five critical thinking skills to begin using to develop your own personal or in-house mindset development program. Team Discounts: Call for special pricing on hard copies to pass out to coaches and players. The chatter in your head that never shuts up. By design, the chatter is constantly running without any effort from you. That’s why we call it chatter. 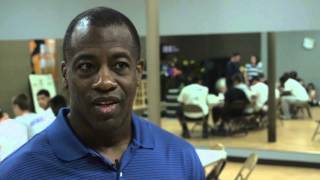 It was over thirty years ago as a young athlete and soon to be graduating senior from Purdue University that I quickly became aware of the chatter. That negative rant in my head that would just keep playing the same words over and over. Science and technology have come a long way since that time, specifically, the field of Neuroscience. We are learning more now than ever before in history about the brain and how thoughts and emotions impact different body functions. It's finally dawning on athlete's that it's brains, not just brawn that delivers optimal performance. 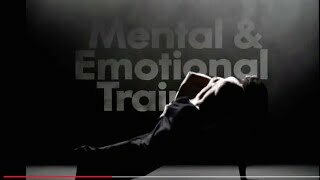 You train your body for nutrition, now train your mind for emotions. The fact is, that chatter is designed to help you achieve in life. What is intended for your good actually becomes your enemy from within if you are not careful with its magnificent power. As in all great power, without discipline, great power becomes a great weakness. The chatter in your head is an asset; a great strength designed and imparted to you. You must learn how to use it. More importantly, learn to use it on demand. And then, teach it. This book is the latest in science, rooted in scripture and made ‘user-friendly’. It is dedicated to you understanding the chatter, realizing the gift and taking responsibility for the gift in your own life.